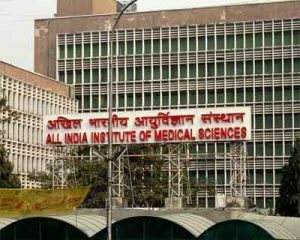 New Delhi: The All India Institute of Medical Sciences (AIIMS), New Delhi will have a first-of-its-kind odourless mortuary by the end of this year. “The plan layout is ready and it had to be operational by March, but there were some administrative issues, like determining the area required. The issues are being sorted out and it (mortuary) is expected to come up in the next five to six months,” he added. In the new odourless mortuary, the new method and technique will used for of cleaning and throwing the fluids. All the fluids will be evacuated and cleaned by vacuum technique. A digital radiology unit has also been set up at to conduct virtual autopsies. Virtual autopsies are less time consuming and can detect even the smallest clots and fractures like hairline or ante-mortem injuries. An autopsy table will be wall mounted like an operation table so that the height can be adjusted and the centre will have in-built facility to videograph a post mortem procedure. Medical Dialogues team had earlier reported that the hospital authorities had approved the said proposal for odourless mortuary. Tenders were invited for the same.